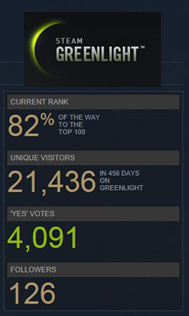 Musclecar Online is now 82% of the way to the top 100 games on Steam Greenlight. Let’s give it a last push and get the game released on the biggest appstore for PC and Mac gamers! 1. Making it ‘proper’ 3D driving, with..